Yes girls, Flora is crazy about tennis and most of the times you can find her on the tennis court improving her game! 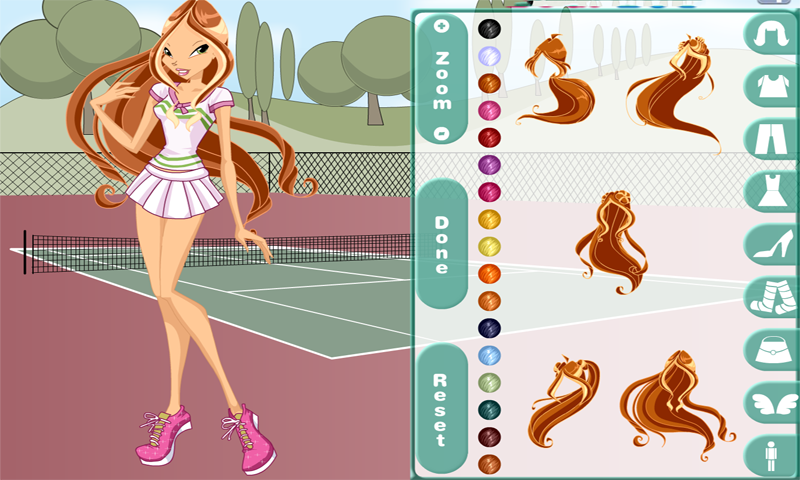 She also has all the right stylish tennis outfits, too, to stand out from the crowd of gorgeous tennis players. Whether she's wearing one of her pastel colored tops paired with one of her girly chic miniskirts or maybe one of her lovely tennis mini-dresses, she always looks amazing! Are you ready to help her prepare for today? 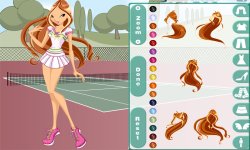 Then play the 'Tennis with Flora Dress Up' game, rummage trough her sporty chic wardrobe and pick out the clothing and accessory items you fancy the most to put together a super chic, sporty outfit to dress her up with! Enjoy!